I'm not sure what it's like where you live, but in New York City, the 4th of July is usually HOT. The sun shines brightly and summer heat hugs you all heavy and damp. Personally, I love it. I'll take thick, hot summer over icy winter any day of the year. But I admit it can make it difficult to want to move around or really do much of anything productive. 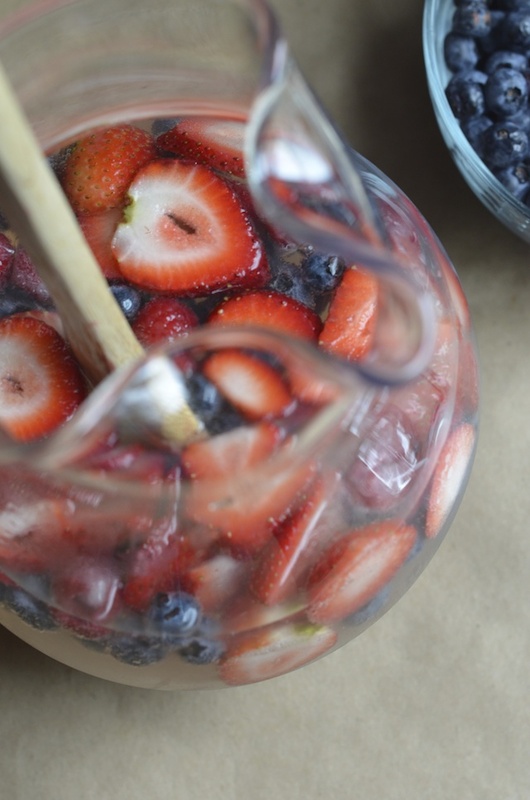 I had the heat in mind when working on this colorful patriotic punch recipe. It's the third in my ongoing collaboration with Smirnoff this summer, and (shhh...!) it's my favorite so far. In my head I was picturing a crystal clear and sparkly punch studded with cupfuls of fresh red and blue berries. It's lightly sweet, perhaps even leaning towards tart, with just a hint of something special from the elderflower syrup. 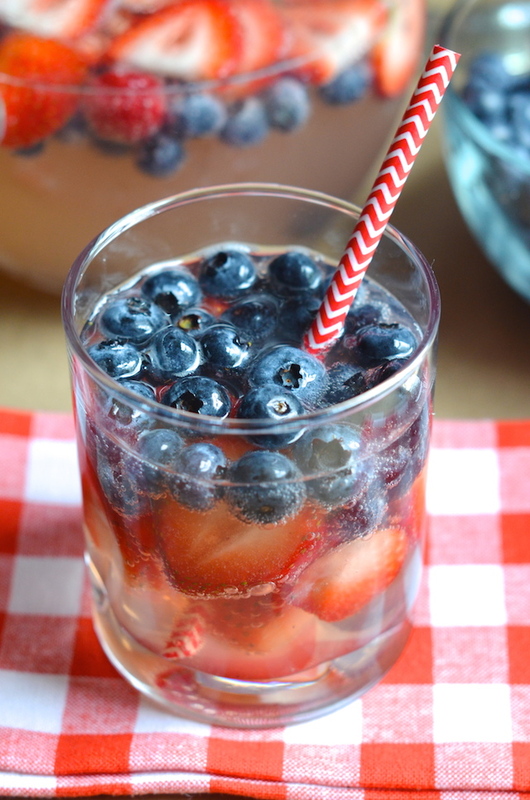 This red, white, and blue Elderflower Berry Vodka Punch is cool and refreshing, and perfect for sipping in tall, berry-filled glasses while sharing with friends under the hot July sun. The only added sweetness in this punch comes from elderflower syrup, which you can buy online or at well-stocked grocery stores. If you can't find it, you can substitute another floral syrup like lavender or rose, or just stick with a plain simple syrup. 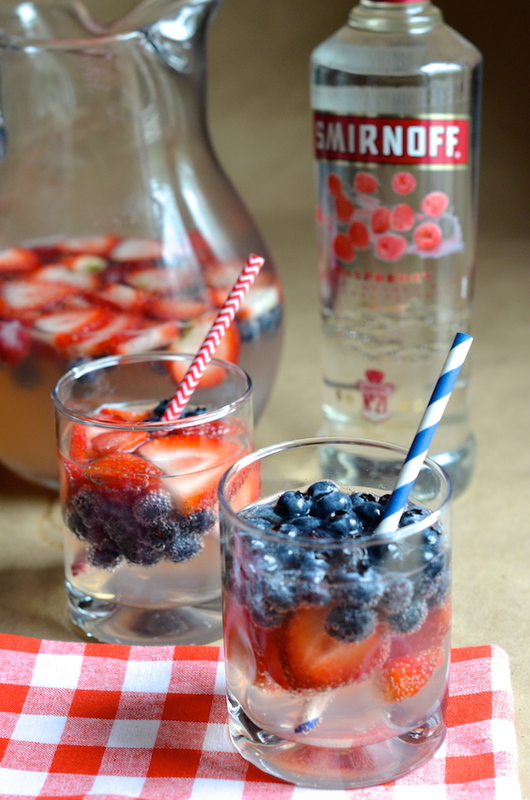 Elderflower pairs beautifully with berry flavors, so I chose Smirnoff Raspberry as this spirit for this punch. It adds the perfect touch of summer sweetness! 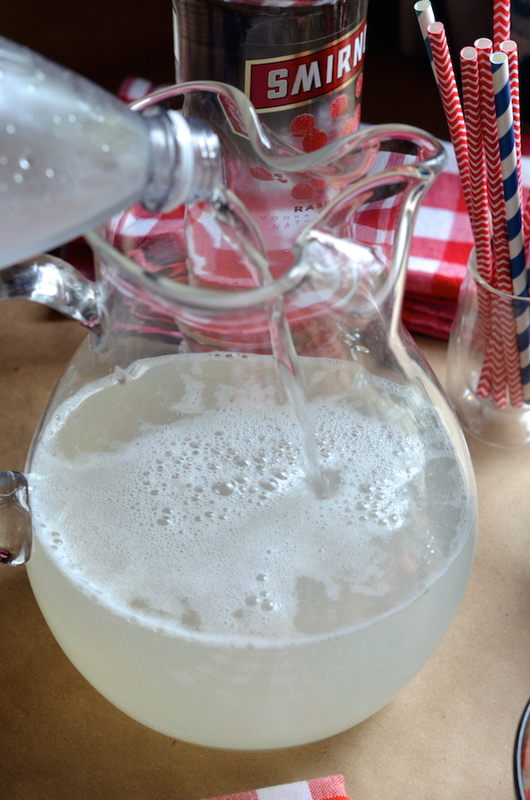 Combined with some fresh lemon juice and lemon seltzer, it's a bright and bubbly drink that will be a hit with your 4th of July guests. 1. Prepare the base of the drink in advance by combining the lemon juice, Smirnoff Raspberry, and elderflower syrup in a large pitcher, and chilling until it's time to serve. 2. Slice up the strawberries and wash the blueberries, but don't add until the last minute. 3. 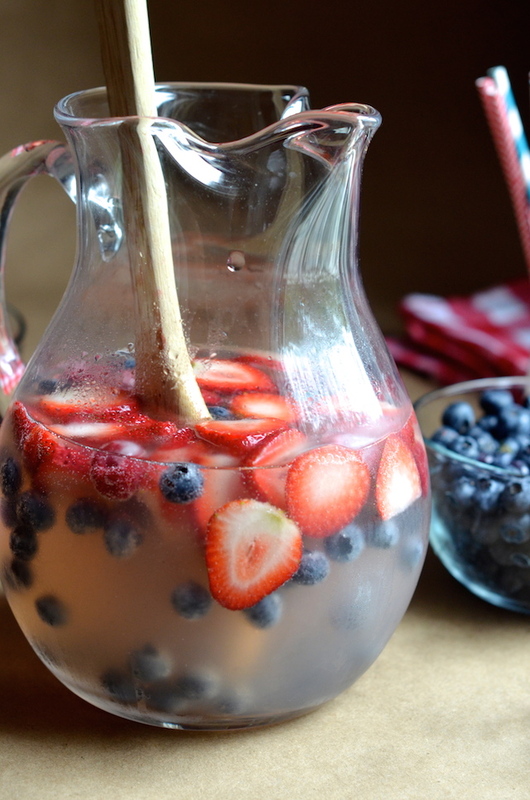 Just before your guests arrive, add chilled seltzer to the prepared drink base, and stir in the berries. 4. Serve with bowls of additional chilled berries so guests can fill their glasses. They can sip their drinks, then eat the muddled berries which will absorb a bit of the vodka and elderflower flavor--so much lovelier than sangria! 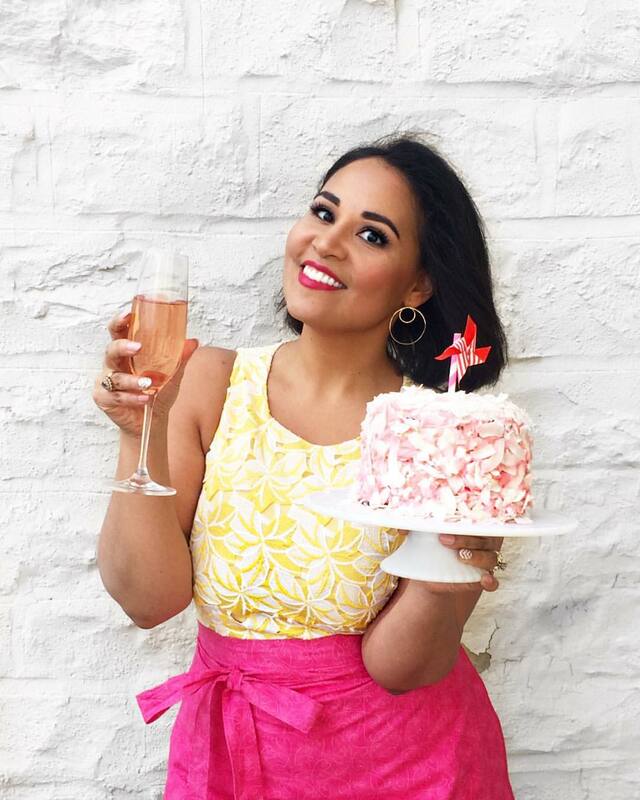 For more fun summer cocktail recipes and ideas, follow Smirnoff on Instagram and Facebook, and check out their fun party boards on Pinterest! This is a sponsored post written by me on behalf of Smirnoff for IZEA. All opinions and recipes are, of course, 100% my own. Please remember to always drink responsibly! Whisk together the vodka, lemon juice, and elderflower syrup in a large pitcher. Cover and chill at least 2 hours or until serving. 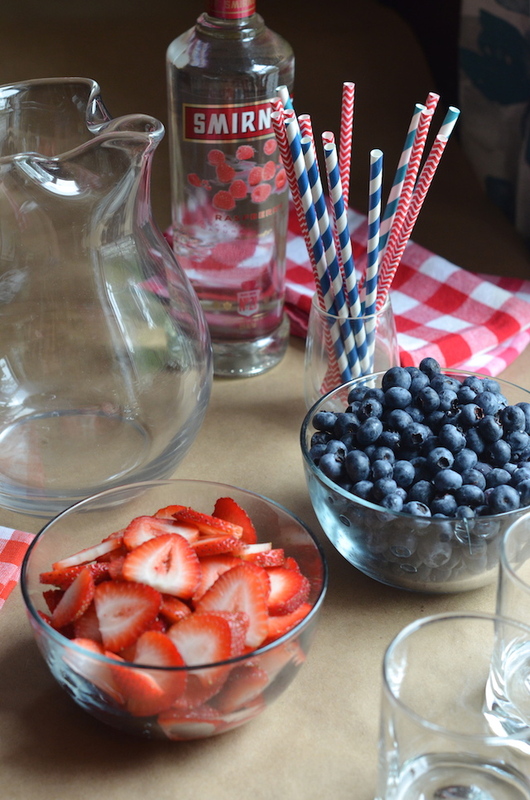 Just before serving, add the berries, topped off with 6-8 cups of the seltzer (depending on the size of your pitcher). Stir and serve cold with additional berries on the side.